I am the "Dim Sum Queen". A new nickname bestowed after I survived an intensive dim sum tasting marathon covering six restaurants in five days. Simple math tells you there was one day that we reviewed two restaurants back to back. Oh yes, it was quite crazy, to say the least. But also incredibly fun! 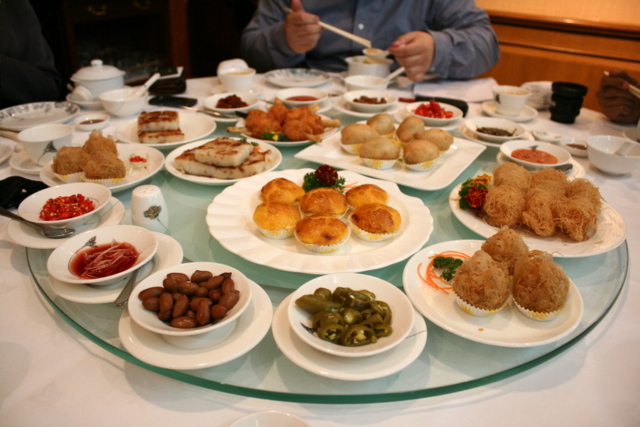 This is a special feature by Cuisine & Wine Asia to compare some of the finer dim sum restaurants across town. 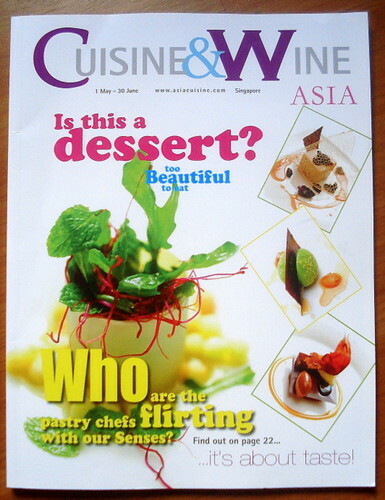 For the May-June 2009 issue, they invited food bloggers as guest tasters. The bonding that happens when kindred souls come together is amazing. Most bloggers usually eat meals with friends or family, who may not be as patient about our penchant for photographing food. But when everyone at the table is a fellow food blogger, we all understand. Some of us even started meeting up on our own after that - witness the Hua Ting outing. My heartfelt thanks to feature writer Jackson Sim and photographer Danny Lim (Sr), whose company we also enjoyed tremendously. Anyway, I hope you'll enjoy the forthcoming posts. Nic: hahaha, thanks! Hey I lend you my copy lah! So between Hai Tien Lo, Wan Hao, Cherry Garden and Jing, which is the best in your opinion?